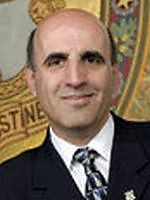 Info Selim G. Noujaim was elected to the House of Representatives from the 74th District (Waterbury) during a special election in February 2002, and again in the regular November 2002 election. He has been extremely active in his local community, and is a knowledgeable businessman. He hopes to further help his community by serving as Ranking Member of the legislature?s Commerce Committee, and as a member of Human Services Committees, and Higher Education Committee to which he has been appointed this session. Representative Noujaim is executive vice-president of the family-founded and operated Noujaim Tool Company, Inc. in Oakville, Connecticut. He had previously held senior management positions with leading corporations in the field of Manufacturing and Supply Chain Management. Specializing in employee motivation, training and development, Representative Noujaim is a qualified ?Train the Trainer.? A former president and CEO of the Washington, D.C.-based American Production and Inventory Control Society (APICS), Representative Noujaim has presented numerous motivational seminars, keynote speeches, and technical presentations throughout the United States, Puerto Rico, France, New Zealand, Belgium, and the Netherlands. Representative Noujaim is certified in Resource Management at the fellow level and is a graduate of Teikyo Post University, Central Connecticut State University, and the University of New Haven, where he received a master?s degree in Business Administration. He has lectured at Teikyo Post University, Naugatuck Valley Community Technical College, and is a member of the President?s Council of Naugatuck Valley Community Technical College. Representative Noujaim is involved in numerous community activities and serves on the Board of Directors of the Greater Waterbury Chamber of Commerce, the Waterbury Association for Retarded Citizens, and Saint Mary?s Hospital. He was co-chair of the 2001-2002 United Way Cabinet, and a member of the Workforce Connections/Private Industry Council. In past years, Representative Noujaim was active on the Board of Directors of Seven Angels Theater, Saints Peter and Paul Church Parish Council, the Economic Development and Manufacturer?s Councils, and The Maassir Lebanese-American Charitable Society. Representative Noujaim has received numerous community accolades, including the city of Waterbury?s ?Lebanese Mayor For the Day,? The Distinguished Alumni Award from Teikyo Post University; the Merit Award from the Board of Trustees of Community-Technical Colleges of Connecticut, the 1998 Board Award from Workforce Connections, and the Saints Peter and Paul Medal of Honor of 2003. He was listed in the 1997, 1998, and 1999 editions of ?Who?s Who In International Business Professionals.? The Greater Waterbury Chamber of Commerce named Noujaim Tool Company, Inc. Small Manufacturer of the Year in 1998. That same year, Representative Noujaim received the Leadership in Business Award for his contributions to the manufacturing profession, and in 1999, was named recipient of the Humanitarian Award given by the Anderson Boys? Club. March 2003, Rep. Noujaim received the Mayor Raymond Snyder Award from the Waterbury Republican Town Committee for excellence in public service. He also received the Saints Peter and Paul School Medal of Honor for community service. Representative Noujaim and his wife Linda have been married for 31 years. They have three grown daughters, Bridget, Jessica and Rebecca.